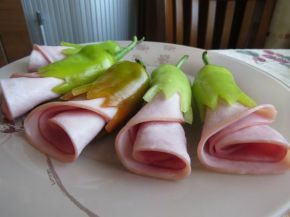 Wash the peppers and cut them to 1/3 from the handle. Remove the inside with a finger and wash them to make all the pips fall. 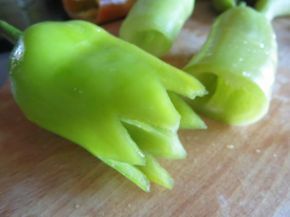 Using a knife, cut the peppers as shown in the picture (small triangles are cut). 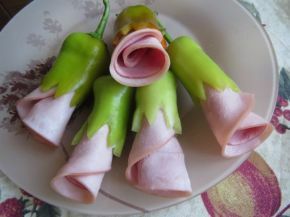 Roll one piece of ham as a rose and put it in the pepper. 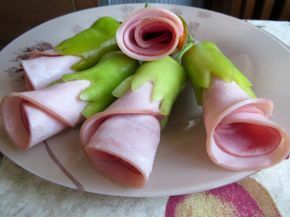 Arrange roses in the dish to your taste.